The Humboldt Botanical Garden is a distinctive special event venue that is available for weddings, corporate events, fundraisers and more. 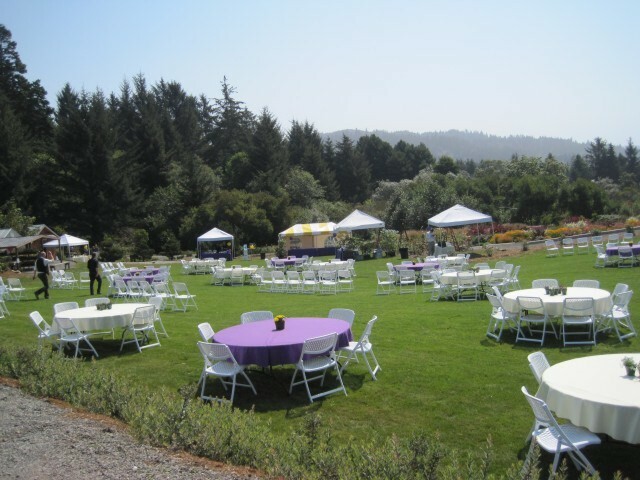 Plan your next event at the Humboldt Botanical Garden. Suggested maximum capacity 50 (250 with lawn area), 4-hour event price $1,000, additional event hours $150/hr. Please contact the office at (707)442-5139 or email [email protected] to check availability.